Whether fate or fortune, Daniella Anthony and John Drennan will soon be reunited with their precious jewel. 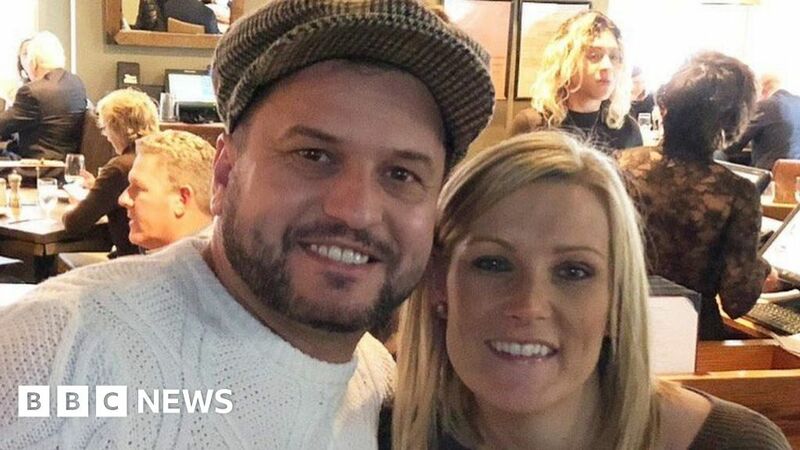 "We are so happy, we can not believe it," the young couple said when he discovered that his lost engagement ring had been found. The couple from Peterborough in the UK flew to New York to celebrate their ten-year dating jubilee. Mr. Drennan said he had thought a lot about the proposal. Speaking to BBC News on Sunday night, he said he had been wearing the ring in his pocket for two days before finding the right moment. "I want to make it clear that I did not make any suggestions in Times Square – we lost it there," Drennan said. The momentous event had taken place in Central Park a few hours earlier. "The time was right, there were autumn leaves everywhere and not many people." Daniella immediately said yes, but both knew that the ring was not the right size. "I tried to tell John that it was too big, but he insisted that I wear it," said Ms. Anthony. "I told her it was alright, I was just happy to finally call her my fiancé after all this time," Mr. Drennan added. The happy couple decided to have something to eat and watch the Christmas Spectacular in Times Square when the ring escaped. "We went back to the hotel, I can still imagine the ring, jump once … jump twice and then it was gone," said Mr. Drennan. Daniella and John immediately called the police and the officers were able to break the grate with a crowbar. "We just assumed it was gone and in the end we had no choice but to go and try to enjoy the rest of our weekend," Drennan said. Daniella was heartbroken, so they left without giving their name to the police and felt hopeless. They came home Sunday and said they wanted to go straight to the jewelry store to buy another ring. "I could not stand the thought of her," Drennan said. But just moments after they were set up at the airport, she alerted a friend to the social media campaign led by the New York City Police Department. The police had posted CCTV footage of the couple trying to get the ring off the grid and used Twitter to search for it. "Hey guys, is that you?" the friend asked the couple. "We could not believe it, we really thought it was gone," said Mrs. Anthony. "We do not use Twitter – we had absolutely no idea that it was going on, but we are so happy." "We are very grateful to everyone – especially the New York Police and all those who shared our story," the couple said. They also wanted to thank everyone who stopped to watch the scene. There was a family in particular who was morally supported. "They had a little girl who hugged Daniella tightly and told her not to worry," Mr. Drennan said. "At that time, this embrace meant everything." The pair will now be in touch with the NYPD to safely return the ring to Peterborough.